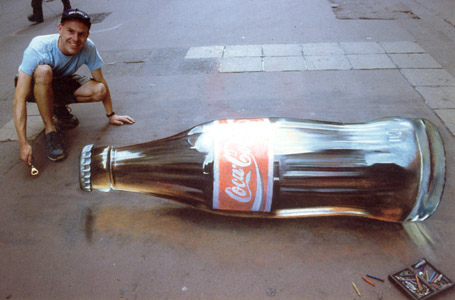 Julian Beever is an English artist whose work has been appearing on pavements throughout the world since the 1990's. All his designs are drawn with street chalk and can sometimes take up to 4 days to complete! What makes his drawings so unique is his ability to create the illusion of 3 dimensions. This effect can only be seen when looking at the drawing from the correct angle. A photo then preserves the life of the illusion long after the chalk drawing has been washed away from the road. Feeling Inspired?? Why not get creative and have a go yourself with our coloured street chalks! NEW Santa Sundays in Totnes!